Party on the 6th of may from 1pm. 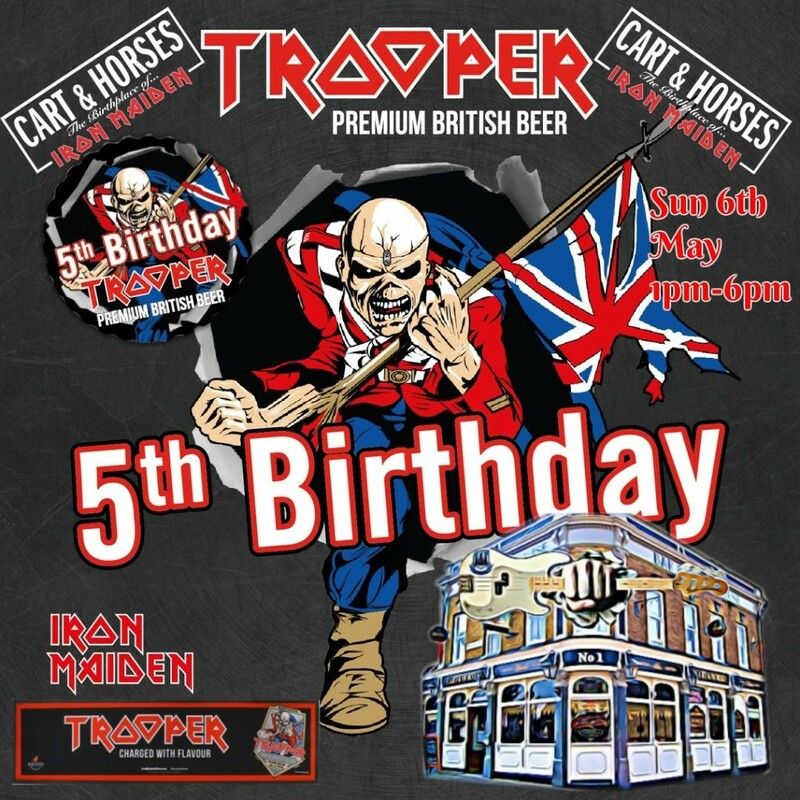 PARTY JUST GOT EVEN BETTER with some Trooper 5th birthday badges. Pop in on Sunday if you fancy one. UP THE IRONS...More info coming soon!